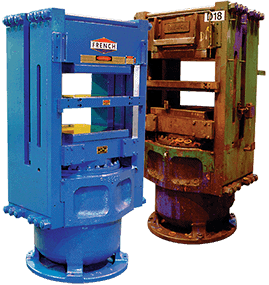 French has a long history of excellence in screw press design and our fiber press designs are durable and proven. We deliver custom-designed virgin and recycled pulp dewatering presses with technology that delivers precise control over discharge moisture. Several drive and control systems are available to choose from, and French engineers are available to help you choose what’s best for you. Contact a French Oil representative to request a screw press quote.